Есть вопрос для CS Residence? Если вы, ищите отель с удобным расположением в Бангкок, вы можете остановить поиски, так как CS Residence - это то, что вам нужно. Отсюда, гости могут всецело ощутить преимущество удачного расположения и близости ко всему, что может предложить оживленный город своим туристам. Для тех из вас, кто не хочет проводить все свое время сидя в номере, Twin Lotus Hospital, Центральная площадь Bangna, Thai Nakarin Hospital лишь некоторые из достопримечательностей, доступных для туристов. В CS Residence, делается все возможное, чтобы гости чувствовали себя комфортно. Безупречное обслуживание и превосходные удобства являются основными принципами в работе отеля. Бесплатный Wi-Fi в номерах, парковка, услуги прачечной, химчистка, кафе всего лишь несколько услуг, которые выделяют CS Residence среди других отелей города. Сделайте всего один шаг в один из 155 уютных номеров отеля, и вы погрузитесь в уютную атмосферу, сможете расслабиться от дневного стресса и воспользоваться широким спектром удобств, таких как номера для некурящих, кондиционер, письменный стол, балкон/терраса, Wi-Fi (платный). Отель предлагает прекрасный выбор услуг для отдыха, в том числе поле для гольфа (в 3 км), сад. Если вы ищете комфортное и удобное место для проживания в Бангкок, выберите CS Residence, который станет вашим вторым домом, на время вашего отпуска. Часы работы стойки регистрации — с 08:30 до 22:00. В случае раннего или позднего заезда/выезда гостей просят сообщить об этом администрации отеля напрямую. Пожалуйста, обратите внимание, гостям необходимо внести залог за ключ-карту в размере 300 THB. Отель вернет данную сумму при регистрации отъезда. The room was nice but wear and tear was noticable as there were black smudges on the wall. Bathroom was very nice and looked new. 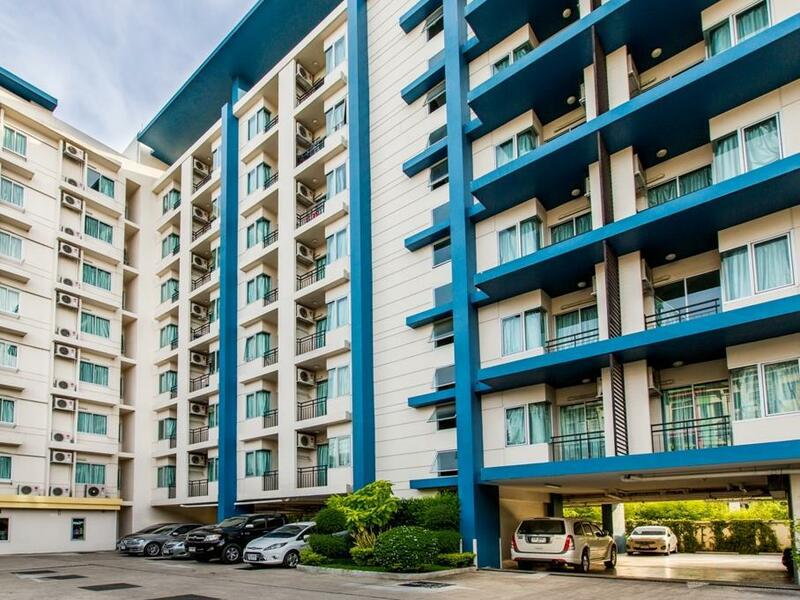 The location is great, very close to Central Bangna mall. Overall, for the price you can't complain. Similar places in the area can easily cost double. I would stay here again. pororo water theme park nearby. motosike taxi drivers infront of hotel. very homely feel. vvvv nice cute staffs. room cleaned also best. This area is a countryside if you have a business or things to do in this area this hotel is suitable for. There is no breakfast but the market is just a minute walk. A big shopping mall is about 10 minutes walk or within 2 minutes by motobike and 10 baht cost. its our 5th time staying here, its more a no-frills transit hotel/apartment. the only issue is the air ventilation inside the toilet , the smell from the sewage will spread into the room. very near central bang na , airport . This is a good value option in a great location with good street food options as well as 2 711's within 100m. Also central plaza bang na is about a 5 min walk away. It's about 3km from the BTS but there are busses running frequently from the mall or I actually really enjoyed walking through the back streets to udom Suk and chose this option most of the time. My only criticisms are that the air-conditioner in my room (212) was quite noisy and also had a bright light displaying the temperature that disturbed my sleep a little. Also one of the neighbouring houses likes to play music quite loudly from about 4am. My room was at the back so if you're gonna stay here maybe request a room at the front then the music shouldn't be an issue. The only other issue I had was some staining on the sheets and one of the pillows. I know the place is cheap but even so, a certain basic level should be expected. All in all I would still consider here when next staying in bang na. Beautiful and great price! 600bath a night and only 5500bahts a month. 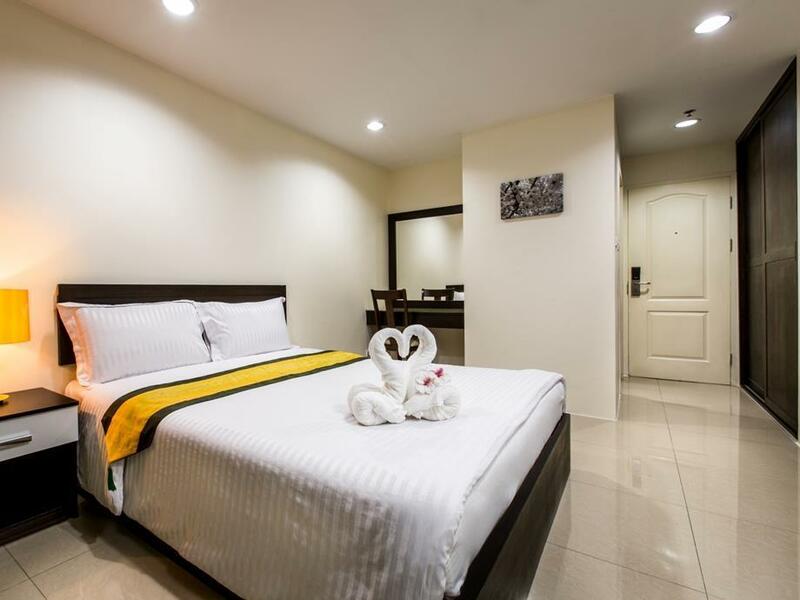 Great walking distance to Central Bangna and any restaurant close by. The hotel was excellent value, very clean, had everything one needed, was comfortable and not too far from Suvanarbhumi Airport. In our case the time to and from the airport was important as we needed to make a connecting flight. Due to roadworks the trip from airport to hotel took about an hour by taxi, but an alternative route from hotel to airport early next morning avoiding roadworks took only 35 minutes so provided one allows 40-45 minutes should be no issues. Overall, excellent value, comfortable, and friendly, helpful staff. I recommend this hotel except for the beds that were really hard. The hotel is clean, have nice staff and is located at a street with a 7/11 and a lot of food stalls. 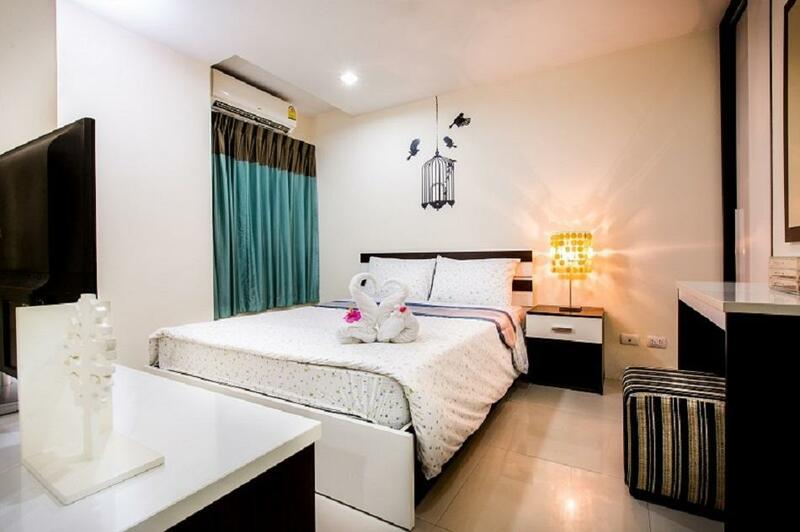 It is relatively close to the airport and you can walk to a big mall just 5 min away. IKEA is a 60 Baht Taxi travel away from the hotel. Super! Good location, there are many street food and near the mall CENTRAL & BIG C shopping center. We can use public motorbike to shopping at CENTRAL, only 15 baht. Front desk clerk was not friendly. I have stayed here many times, it's quiet, near the airport, good staff. would stay here again. Stay was ok but management don't go out of their way to make it more comfortable. No hot water kettle so no way to make a coffee. No breakfast offered. Could do with a shower screen and an extra towel rail. I stay here when I have an early flight sometimes. Good to just wake up and be at the airport in 20 mins. No problems, quiet, clean and cheap.